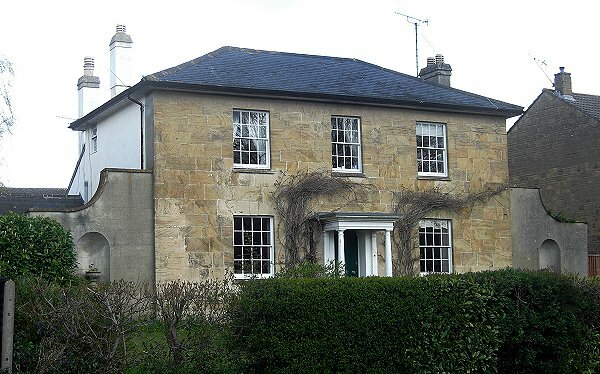 Grovecote was built in 1830, with financial assistance from Peter Daniell and others, as the manse for the minister of Yeovil's Unitarian Chapel in Vicarage Street on ground previously given to the society in the will of Thomas Grubham as a "close of land in Preston Lane". Grovecote is a two-storey house, rectangular on plan, with flanking sidewalls. It has a symmetrical classically-styled south front of three bays, of ashlar under a shallow hipped Welsh slate roof with deep eaves. 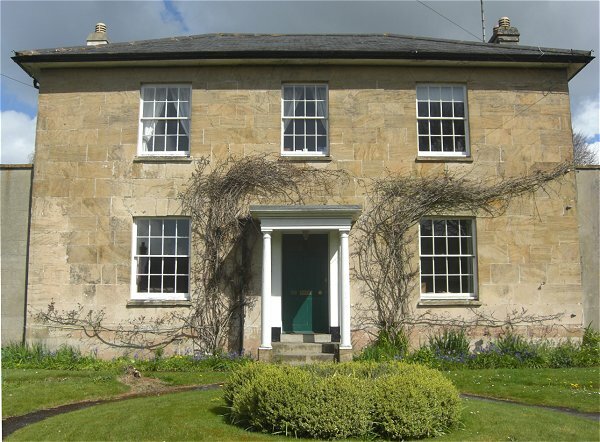 There is a central projecting porch with slender Tuscan columns and the entrance is flanked by 16-pane sash windows, with three further sash windows to the first floor. To either side of the facade are rendered sidewalls with swept, curved copings and niches. According to Vickery in 1856 the rents of this house, and a piece of land, formed an endowment of the church of about £40 per annum. Its first occupant was supposed to be the Reverend David Hughes, but he removed to America before the house was finished. In 1856 Vickery noted that the house was "now in the occupation of Walter Stuckey, esq. of this town." By 1882 Whitby's Yeovil Almanack Advertiser noted that John Dampney was in occupation but by 1891 it was being let to Yeovil solicitor William Wells Henley. Henley was recorded as the tenant in Whitby's Yeovil Almanack Advertiser almost annually until 1911. From 1914 Whitby's recorded builder and contractor Thomas Cave as the occupier and he was still listed there in Kelly's Directory of 1919. Grovecote, the former Unitarian church manse. Photographed in 2013. Grovecote, seen from Preston Road. Photographed in 2013.